Mixed martial artists are constantly on the lookout for a tool or a product that can help assist with the body’s recovery process. Whether it be a supplement or a service such as a professional sports massage, healing and treating your body properly can be challenging. After seeing a slew of professional mixed martial artist to include Georges St-Pierre and Vitor Belfort, use a massage tool on themselves…… with ease, I had to find out more. 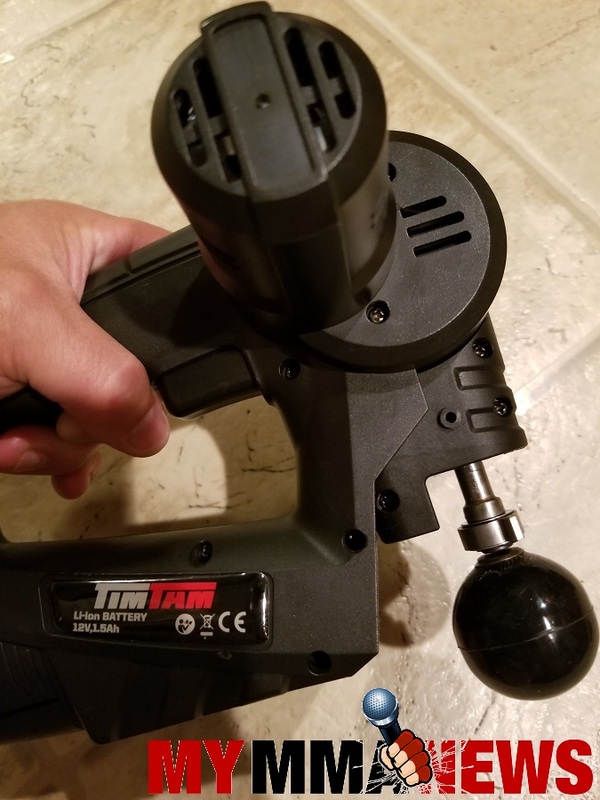 I reached out to TimTam Tech, makers of the TimTam Power Massager to get the story behind what looks like a recovery took most every competitor would want to use. TimTam offers a range of massagers and related products to aid in the recovery process. 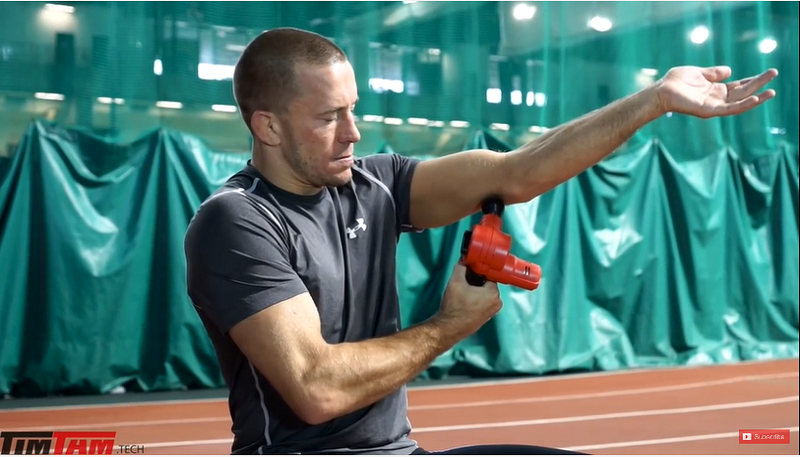 The TimTam Power Massager massages muscles to help break down knots, inc rease blood flow, and release stored lactic acid. I spoke with Tom Pepe, Managing Partner of a holding company, that works with the creator of the product, mixed martial arts coach Firas Zahabi. Pepe tells me that he was introduced to the idea by Zahabi and St-Pierre in early 2016 and brought it to marketing in July 2016. 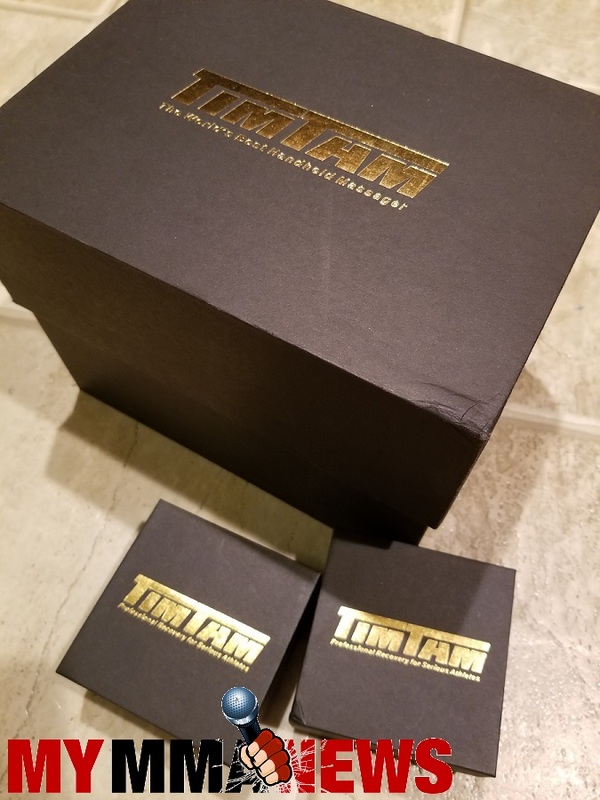 A few short days after speaking with both Pepe and Zahabi, a package showed up at my doorstep and much to my surprise, the TimTam was assembled in what resembled a jewelry box. I was immediately impressed by the appearance, now it was time to test the product out. “Every single athlete has the same type of need,” Pepe said. That need is to allow their muscles to properly recover through massage. “This on your hamstring or glutes may be the best massage you have ever had,” Pepe said. Now that I have one of my own, I had to give it a try. I thought to myself, “You are going to have to charge this.” Wrong. Right away the TimTam went to work and I was a fan. 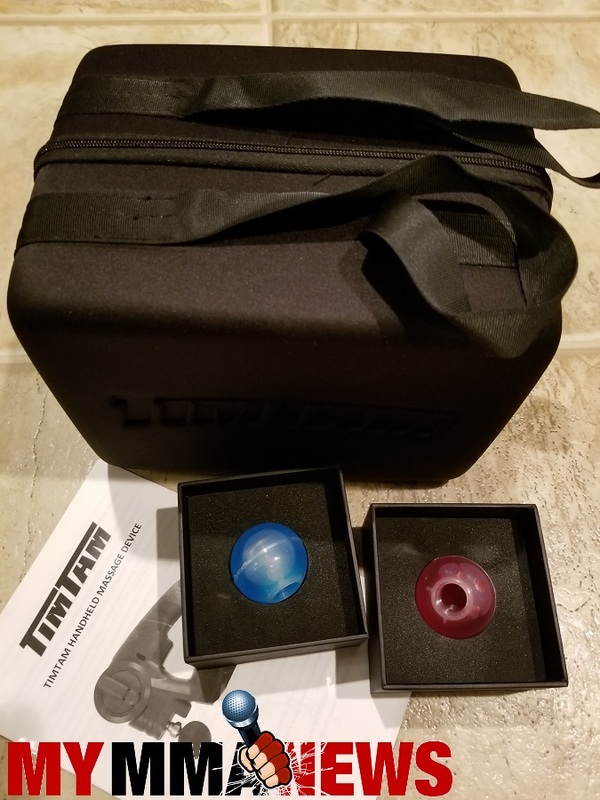 The set came with two extra balls, one red, one blue. The blue one you can place in the freezer for use, while the red you microwave for 15 seconds only. The addition of heat and a chill bring a whole new feeling to the massage, one that you can only describe after you have it done for yourself. The TimTam Power Massager is currently priced at $399.99 a unit. Right now you save 10% by using code ‘Facebook10’ – This is a limited time discount on all of TimTam products. How did the name TimTam come about? “When we were first introduced to the TimTam prototype, it was a crude, saw-like power tool with a ball-like object on the end. It looked a bit like a torture device, and we thought, ‘There’s no way this is going to sell.’ At the time, we were seated in a crowded café, and the couple seated behind us were clearly frightened when we pulled out the prototype and began brandishing it. Upon reflection, it must have looked like a weapon or something! I then spoke to the man himself, Coach Firas Zahabi to find out more about this useful tool. “Massage is an essential part of your overall health and is as important as proper diet and exercise,” Zahabi said. Next Can McGregor take advantage of Mayweather’s main flaw? Is there one?